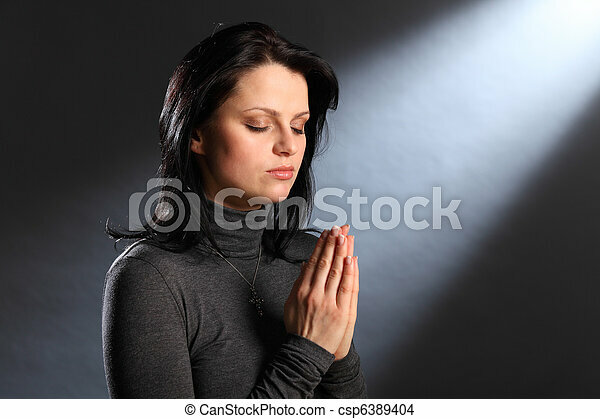 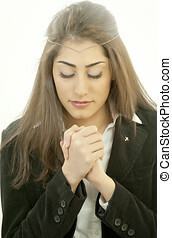 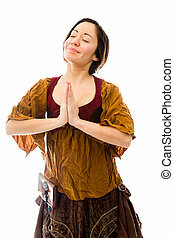 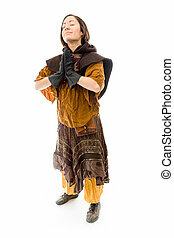 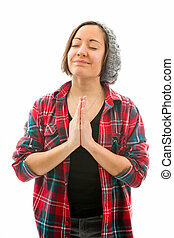 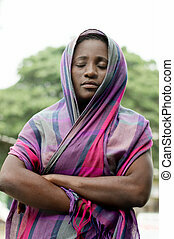 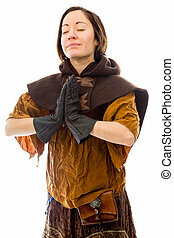 Beautiful young woman wearing black headscarf, eyes closed and hands together in prayer. 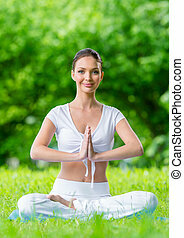 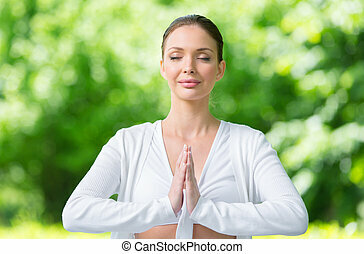 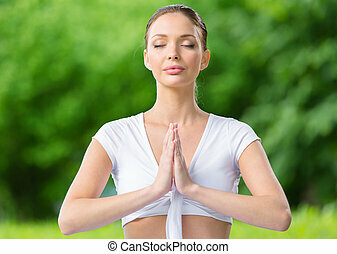 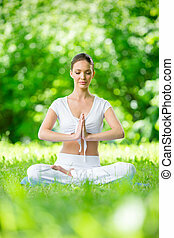 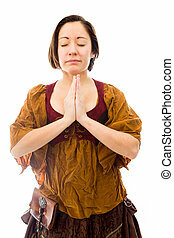 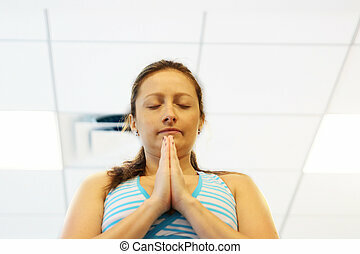 Beautiful young woman sitting in cross legged relaxed pose, meditating. 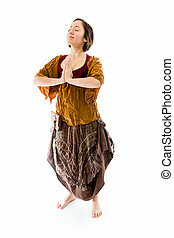 Woman is indoor sitting on wood flooring with bamboo blinds in background. 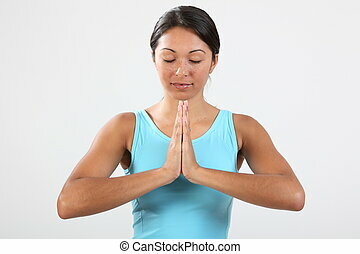 Her eyes are closed. 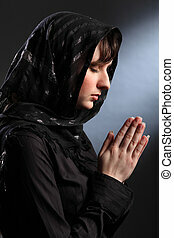 Young religious woman wearing black hijab headscarf, eyes closed and hands together in prayer. 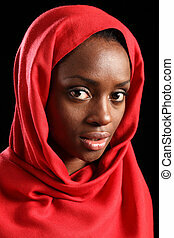 Beautiful young black african muslim woman wearing red headscarf, taken against a black background. 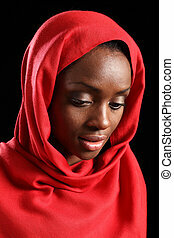 Tranquil portrait of beautiful young black african american woman wearing red hijab, taken against a black background. 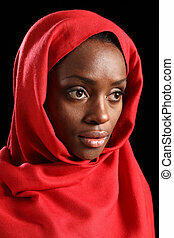 Peaceful and serene portrait of beautiful young black african american woman wearing red headscarf, taken against a black background. 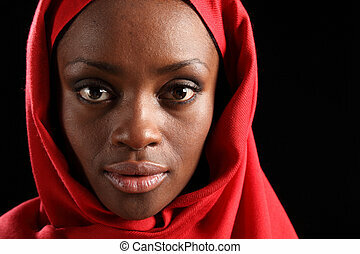 Beautiful young black african american muslim girl wearing red hijab, eyes looking downwards taken against a black background. 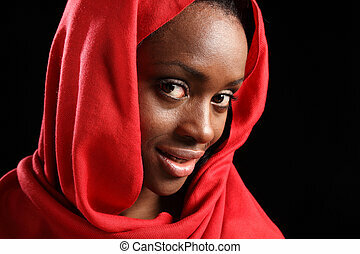 Headshot of beautiful young black muslim girl wearing red hijab, with a happy smile on her face.